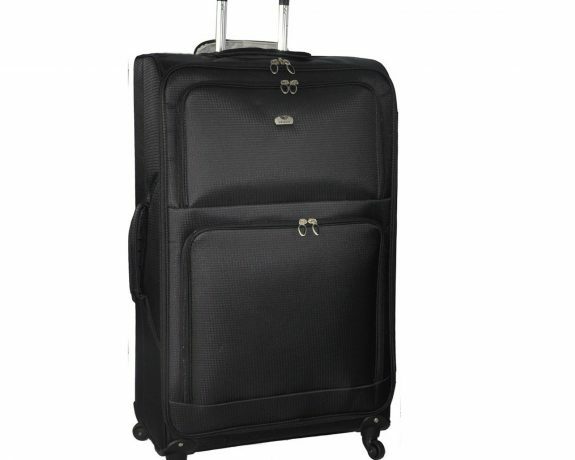 The Aerolite brand is proud to offer the world’s lightest luggage sets, helping to ensure millions of travellers worldwide enjoy more of their travelling experience. Available in a number of different sizes and colours, you’ll be able to find the perfect travel partner, and best of all  all Aerolite bags come with a 10 year guarantee for peace of mind! Weighing between the weight of an iPad (21″) and the weight of a laptop (29″), the Aerolite range ensures that you’ll spend less time worrying about meeting baggage weight restrictions, and more time enjoying your holiday. You’ll even be able to pick up the luggage with one finger! The 18″ model is compatible with all cabin size restrictions whilst the 21″ will be suitable for the majority including Ryanair; please check with your airline before-hand. A sturdy retractable grip handle is actioned via a push button which aids easy transporting thanks to the 4 wheel design (2 Wheels on 18″), ensuring it can be either pushed or pulled.